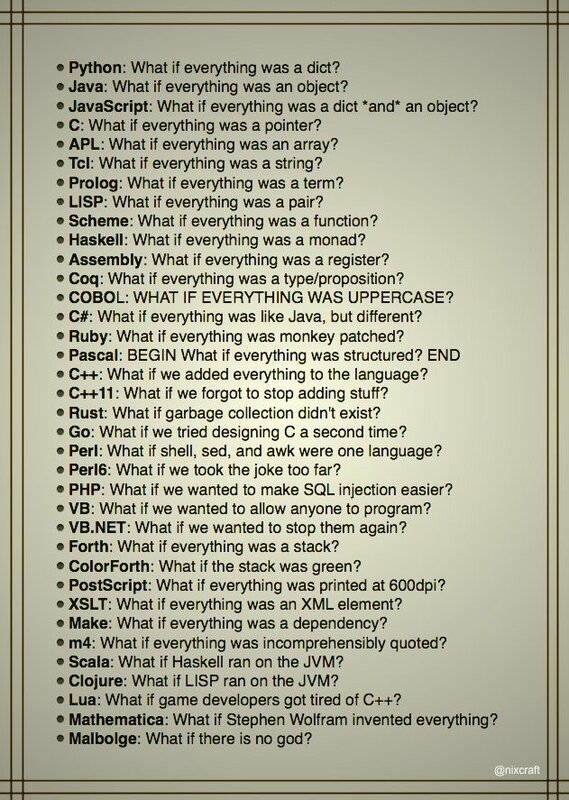 I came across a very amusing image the other day, dealing with the questions that various popular programming languages seek to answer. There is a nice thread on reddit with some extra suggestions to include in the list too. Rust: What if garbage collection didn't exist? I laughed out loud quite a bit at this (as a programmer). Thanks for sharing mate! Love it. Could include things for shells too though nothing comes to mind immediately and I haven't any time to think on it presently. Many others could be done too. Let's throw in OS's too while we're at it. That could be a really fun one to work on.